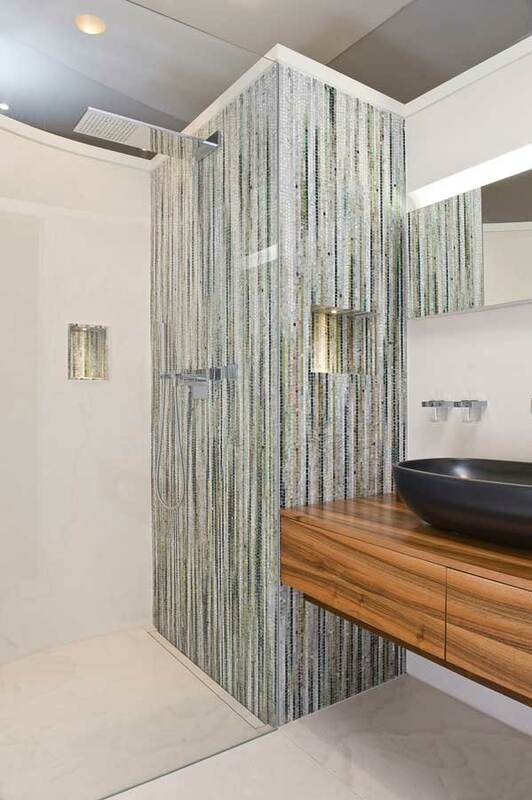 For our costumized bath mosaic the colours can be chosen from 100 natural stone and 100 opaque and transparent smalti. This allows a multitude of exquisite colour combinations for a customized design. The surfaces are made to measure.